In Japan cherry blossoms are in full bloom now. 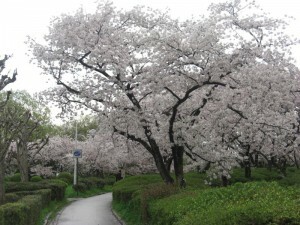 In the beginning of April, a lot of Japanese go somewhere (for example, to a park) to see cherry blossoms. The Japanese like cherry blossoms very much. 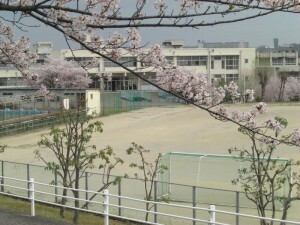 It is probably because the blossoms are in bloom after a long shivering cold winter. This coincides with their belief that fortune will come after going through adversity. This is my mom’s hometown in Osaka, Japan. She does not live there anymore, but when she was young, she used to walk along the sidewalk, enjoying the cherry blossoms from her house to the station. That was a refreshing 15-minute walk. 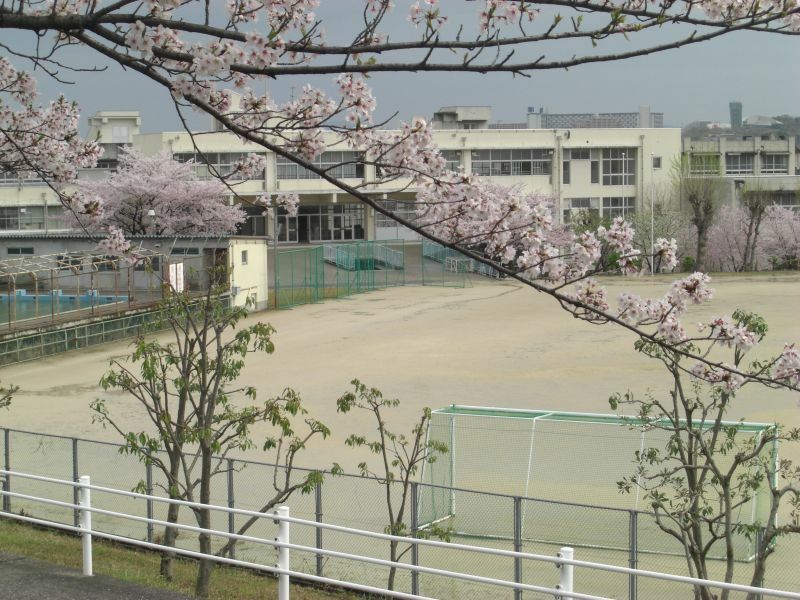 This is the junior high school my mom went to in Osaka. When she was a student there, she met a very enthusiastic English teacher. You could say that this is the place where my mom’s career got its start.